Soludos: 25% off everything! Use Code: BLACK25. I'm still obsessed with these wink smoking slippers and the now come in leather! Theory: Up to40% off everything! No code needed. I love that this ribbed knit cross top doesn't make your shoulders look broad like other off-the-shoulder tops. 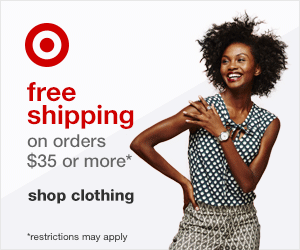 T.J. Maxx: Free Shipping! Sometimes that's all I need to hear to order something. I hate paying for shipping! These OTK boots are very similar to the ones I wore here. Guess: Up to 50% off sitewide plus free shipping! The wool baseball cap that I wore on my Walk Over The Hudson is still available for much less. Uniqlo: Free shipping on all orders! I just ordered this turtleneck and I can't wait to get it in the mail. Boohoo: 60% off everything and free shipping! This Davie Velvet Seam Midi Bodcon Dress is perfect for the holidays. Sole Society: 30% off all shoes and bags. I really, really want these ankle boots and this crossbody bag. Zara: 30% off everything. I've been wanting a red leather jacket...is this one it?